We live at an interesting time in consumer history. The evolution of technologies and communication networks, as well as vulnerabilities in global economies, have given rise to unprecedented competition within certain industries. An article like this could be written about any number of things you spend money on, but we’ll limit ourselves to auto insurance. If you are an adult living just about anywhere, you are required by law to have car insurance if you own a vehicle. There are many different variations on policies, some of which are more expensive than others, depending on the coverage and liability options you choose. Most people don’t have much experience with car insurance before selecting a first or second policy, and for this reason people tend to stick with an insurance provider for years or even decades, simply because payments are usually automated, and because it’s a little inconvenient to switch to another provider. This is OK for most people. But you’re not most people. You understand that finding a savings alternative for any regular payment will result in more money in your bank account, especially as the months and years go on. For many decades, auto insurance was a relatively stable industry. But recent economic and technological trends have conspired to bring a lot of new competitors to the market. If you have been paying one provider for auto insurance for many years, it’s time to start looking at what else is out there. If you are a long-time customer with a solid insurer, you should definitely ask for loyalty benefits. This goes even if you don’t plan on leaving. If you want to find alternative options, however, asking for discounts and other benefits is the very best place to start with your present insurer. Be honest about your interest in savings which might be provided by national or regional competitors. Most of these businesses will offer fast quotes on their website. But sometimes it pays to call. By explaining your situation to a representative, you may discover that the provider has additional benefits they offer to drivers coming from their competition. Others have policy price matching guarantees. You really won’t know until you ask. In this regard, price hunting for auto insurance very much rewards the diligent. Regional auto insurers with discount programs are a great option in this regard. These options are often outside of the spectrum of policies provided by banks, but they tend to provide the best possible coverage in the regions they operate. In Toronto for example, some car insurance policies provide consumers with the option to leverage telematics (or driver monitoring) to significantly reduce the cost of your insurance premium. Wherever you live, there is likely to be regional competitors, of various qualities. It’s good to get quotes from these as well as the major providers but more importantly, to be aware of all of the programs they offer that could potentially lower your premium. Whether it’s telematics, winter tire discounts, driver’s training etc. there are often a number of considerations insurers make when determining your final premium. If you’re able to save even 10% a month, this is hundreds more dollars in your pocket each year, and each year thereafter. 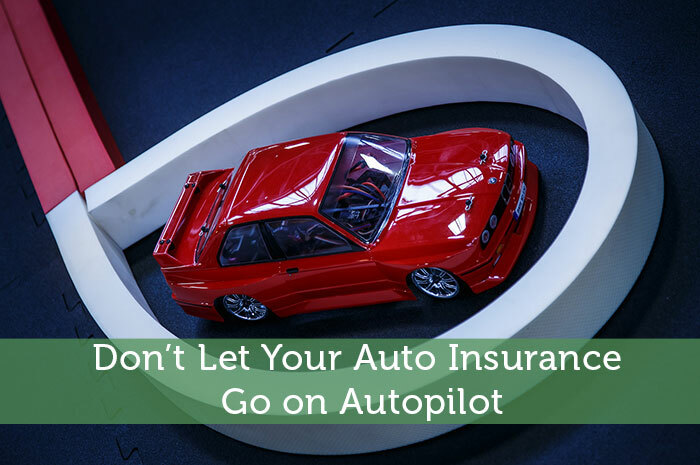 Don’t ignore your auto insurance just because it’s convenient and the payments are automated. Taking the controls will help you find savings that really add up over time.